Dear sponsors—we are so thankful for you! If you have any questions about your sponsorship, please don’t hesitate to contact Kristi at 260-302-5446 or sponsorships@jesusinhaiti.org. Prayer support is one of the most important gifts you can give the student you sponsor, and one of the things your student most values about your sponsorship. Not sure where to start with your prayers? Pray for your student in these five holistic areas. If you would like to bless your student with a birthday gift, you can make a monetary donation so school staff can purchase a gift in Haiti and give to your student on your behalf. Please plan to give by the 18th of the month before your student’s birthday to make sure the student receives the gift on his/her birthday. Give a birthday gift. Find out how to bless your student with a Christmas gift. JiHM invites you to come to Haiti, meet your student, and see for yourself what God is doing at Grace Emmanuel School. If you are interested in this opportunity, please contact us for more details or read about JiHM mission trips. If your card has expired or been compromised and payments are no longer processing, submit the online sponsorship form using your new account information. Note when submitting your information online, your gift will begin on the day you submit the form, and recur monthly on the same date. (You can change this date later by emailing sponsorships@jesusinhaiti.org or calling 260-302-5446). If you would just like to change the account your sponsorship payments are drawing from, call 260-302-5446 to do this quickly over the phone. If you signed up for automatic payments by mailing in a voided check, please call 260-302-5446 to update your account information. If you give annually to support your student, you can make a donation online using this giving form, or mail a check for $420/student to: Jesus in Haiti Ministries, c/o Hartley Tax & Accounting, 6066 E State Blvd, Fort Wayne, IN 46815. 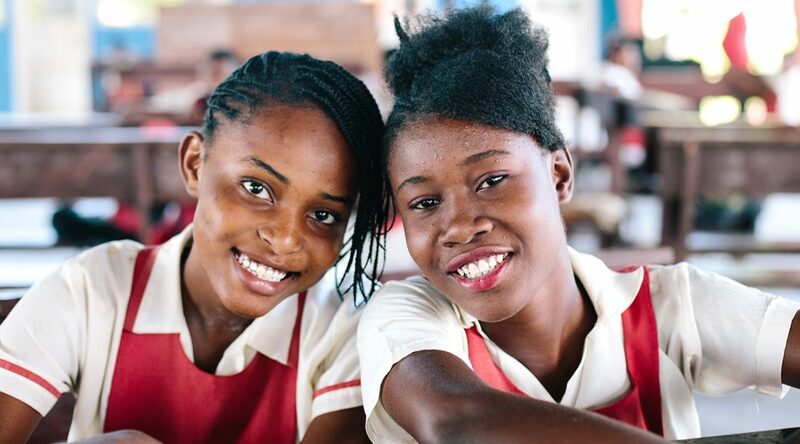 Make sure your check is payable to Jesus in Haiti Ministries and enclose a separate note to apply your gift to sponsorship at Grace Emmanuel School. Read about the impacts of sponsorship. More questions about your sponsorship? Read the Sponsorship FAQ or email Kristi at sponsorships@jesusinhaiti.org.